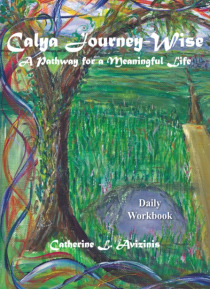 Daily workbook for the Calya Journey-Wise System of Self- Help by Catherine Avizinis. Chakra Healing and Mystickal Practice... This is a Complete Color Divination System. Learn Metaphysical Guidance and Soul-Searching Techniques to help you to Balance and Heal.